They validated themselves and proved all the critics wrong again. The Miami Heat may have won the title last year, but they just got branded with a brand new name: Back-to-back NBA champions. After winning a thrilling seven-game series against a veteran and battle-proven team in the San Antonio Spurs. In a series where prior to Game 7, the odd games went the way of the Spurs and the even games went the way of the Heat. A series where Spurs guard Danny Green broke an NBA Finals series record with 27 three pointers in the entire series. A series where the Spurs veteran Big 3 of Tony Parker, Tim Duncan, and Manu Ginobili went up against the Heat’s version of the Big 3 in LeBron James, Dwayne Wade and Chris Bosh. Where all the role players stepped up in big games like Miami’s Ray Allen, Shane Battier, Mike Miller, Mario Chalmers and Norris Cole to San Antonio’s Kawhi Leonard, Gary Neal, Danny Green, Boris Diaw and Tiago Splitter. A series where big shots and plays were made on both ends of the court. But when it all came to Game 7, when the Spurs could not deliver the big punch to grasp the title for a fifth time in their history and when the Heat took advantage of every lapse the Spurs gave them. 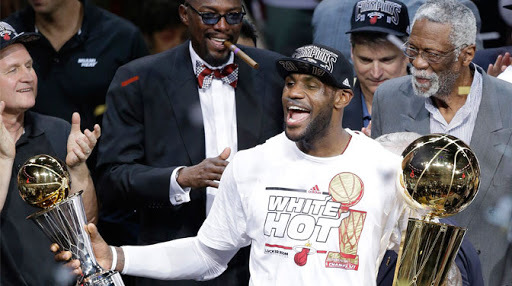 The Heat once again stood atop of the mountain in the basketball world. LeBron James who led the Heat in their quest for a repeat and scored at will in Game 7, was named the Finals MVP for the second straight season. The series loss for the Spurs marks their first defeat in an NBA Finals series in franchise history after coming out successful in their four trips to the NBA Finals prior to this and once again, the home team came out on top in a Game 7 situation where no road team since the 2-3-2 format for the NBA Finals has won in Game 7. 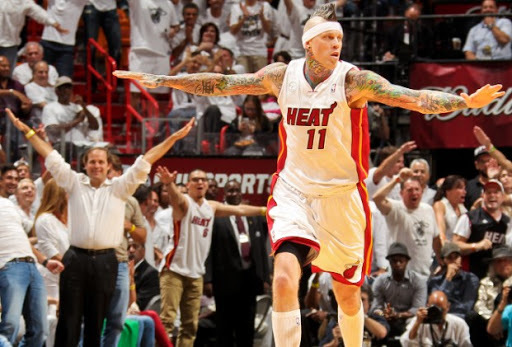 Once again, congratulations to the Miami Heat. Your 2013 NBA Champions. Give credit as well to the San Antonio Spurs. They fought hard in a great series like this one. Another season of NBA basketball has come to an end, we’ll see you again next season. Flood, it’s a way of life for a Thomasian. The flood has been a way of life at the University of Santo Tomas, for many years now. The campus has been flooded countless times from times of heavy rainfall or strong typhoons. There is not one year that the campus will be flooded. For three years of my Thomasian life, I never experienced getting stranded in the flood on campus. It all changed yesterday. My classes on a Thursday always end at 1pm. However, we had to stay on campus for we were going to have a consultation for our thesis. Then came the heavy rain at around 2pm. We pushed with the consultation despite the heavy rainfall and the fact they already suspended classes at 3pm. Once were done, the flood waters continued to rise, we went up the second floor of the building. I knew they were not going to get themselves and will ride out until the floods subside. However, I took a chance and laid everything on the line. I left the building putting my own safety at some risk, and started my road through the floods to get a ride back home. Even inside the campus it was already flooding reaching above the gutter. Once I got out of the gate, it was just the start of the battle. I kept on walking, crossing the overpass to the direction of the road back home. It wasn’t flooded on the gutters. But once the gutter ends on an intersection or corner where the elevation is low, the flood waters were at a high of knee-deep. I had no slippers which is better in walkig through the flood, so I braved the flood with leather shoes on and I took out my socks which was already wet. In some corners, residents set up bridges for people to cross through the road for a small price. But I didn’t want to pay for that so I went through the flood. I walked from in front of UST up to Blumentritt which was 1 kilometer long for about an hour through the heavy flood. Once I got there, the flood was gone and fortunately, there was an FX bound north waiting so I took it for the ride back home, and after an hour on the road. I arrived home wet but safe. It was an experience unlike any other. I never thought I’d be able to go through this experience in my life. As they say, you’re a certified Thomasian if you get stuck on campus in heavy rain or walking through the flood which I did. However, this could be the only time I’ll pull off this stunt. If we get stuck in the flood again, I’ll have to ride it out inside the campus and wait for the flood waters to recede before going back home. Well, it’s better to get stuck on campus than falling on a manhole that could be opened on any road in times like these. Lesson learned: Bring slippers and my phone’s charger on campus from here on out. Walked my way through the flood, now I’m a certified Thomasian. LOL! The Heat are once again back in the NBA Finals. This Eastern Conference Finals went the distance for the second straight year, but in the end the Miami Heat prevailed as the defending champions advance to the NBA Finals for the third straight season as they defeat the Indiana Pacers in seven games. The Pacers made it to the Eastern Conference Finals after stunning their old rivals in the New York Knicks in 6 games. Led by their All-Star frontcourt of Paul George, David West and Roy Hibbert as well as players like George Hill and Lance Stephenson. The Pacers pushed the defending champions to the limit in a series to remember in this year’s playoffs. Unfortunately, they lost their “Gold Swagger” in Game 7 as the Heat took them out of the building to end their bid to return to the NBA Finals for the first time since Pacer great Reggie Miller led the franchise to their lone trip back in 2000. They played their hearts out in this series, but they were unable to blow the knockout punch that would dethrone the champions out. The Heat returned to the Eastern Conference Finals for the third straight year after dispatching the Chicago Bulls in 5 games. They were pushed to their very limits, but managed to keep their composure and dealt the knockout punch of the series. MVP LeBron James in this series showed his play during his days as with the Cleveland Cavaliers carrying the champions when they need it the most. Despite the struggles of his Big 3 companions in Dwayne Wade and Chris Bosh. The Heat managed to stave off the momentum the Pacers came into Game 7. Now, they’ll have a shot to get back-to-back championships. The Heat will now face the Western Conference Champion San Antonio Spurs in the NBA Finals who dispatched the Memphis Grizzlies in a four game sweep in the Western Conference Finals. As for the Pacers, their impressive run in the NBA Playoffs comes to a heartbreaking end. They will learn from this series, especially with a team stacked with young talent. They have proven that they are one of the elite teams the Eastern Conference has to offer. I cannot wait to see the Pacers play with my team the Houston Rockets this October 10 when the NBA comes to the Philippines and play a pre-season game here. Windup of the summer. The Final Push begins. Summer 2013, arguably the last summer vacation I’ll experience as a student is in it’s conclusion. It’s been one nice summer for me. Going to different places like Subic Bay, Antipolo and Batangas to discover good places and have a good time exploring in the open road. I also got the chance to earn some cash along the way with some side jobs I took, my birthday coming along at the end of April, hanging out with my friends in places like SM and TriNoma, and the never ending watch of the 2013 NBA Playoffs as my team the Houston Rockets made a nice but short-lived run in the playoffs including a win in a do or die game on my birthday. Aside from the Rockets, it’s been a nice playoffs with upsets and great matchups from the 1st round to the Conference Finals. As we know it will be a great conclusion to the East Finals as the Indiana Pacers and the Miami Heat will battle for the right to face the San Antonio Spurs in the NBA Finals. I also got to meet members of Red Nation (Fans of the Houston Rockets FYI) from all over the world from those living in Texas who are arguably the proudest members of Red Nation in the entire world, as well as those from other places around the world, places like Australia, Taiwan (Jeremy Lin nation), even Norway which my friend there told me has not much of a basketball following like we have here in the Philippines. More on the Rockets, I can’t wait for them to come over to the Philippines to play a pre-season game here when they and the Pacers play this October 10 at the Mall of Asia Arena. I will not miss the opportunity to meet the Rockets players like James Harden, Jeremy Lin, Chandler Parsons, Omer Asik, Patrick Beverley and who knows they could bring in a big name in the free agency. Well it will also be fun to meet the Pacers, players like Paul George, David West, Roy Hibbert, George Hill and the rest of this team who have gone all the way to the East Finals against the defending champions and have a shot at going to the NBA Finals. Well, summer is winding down and “The Final Push” will begin in hours time. The España journey will continue. Two more semesters to work on to complete the mission, a semester of thesis and a semester of practicum. I am as determined as anyone to FINISH STRONG in this last push of my school life before heading out to the field and get a job somewhere along the line. Of course, it will be the last semester I will get to see my blockmates on a regular basis since we’ll be off to different ways come the time we take our practicum so I have to make each moment count. The journey is about to end, and after it another one begins. It will be one hell of a ride for sure. But just like what I have been doing for the past three years. I’ll sit back and enjoy the moments while it lasts. SENIOR YEAR in the words of Mike Goldberg, HERE WE GO! I also would like to take a moment to remember my CTHM batchmate who passed away last Thursday, John Sinas. Though I never got to meet him more in person when he was around. It’s still tough on the heart to see a batchmate pass away early in his life. We hope you are in a better place man in the heaven’s above and we will see you again when the time comes. THE FINAL PUSH STARTS NOW!